Greetings. It's that sticky, hot time of year here in Osaka which has forced me to hibernate in air-conditioned comfort 24/7. I've taken the time to get a long mix done too ! After previously saying I was going to concentrate on shorter mixes for a while, somehow I found the time in-between drawing and changing diapers ( the baby's, not mine ! ) to get a two hours plus psychill mix down. This one is full of some of my favorite spacey psychill tracks from 2014/2015 and should please any fans of the Altar Records/Ultimae records spacey psychill styles. It kicks off with a track "Existence" by Ascendant from their excellent album "Athereal Code". If you like that classic Aes Dana sound then you will love that album. Actually Aes Dana follows up next with a track from his colloboration EP "Cut" that he produced with fellow Ultimae artist Miktek. It is a fantastic EP too - really progressive and pushing the psychill sound further into new territories. Our third tune comes from Unknown Reality ( Ralph Knobloch ) from his EP "Moments". Ralph has been around the scene for ages, not always in a psychill sense though. Some of you might be familiar with his old psytrance act Rastaliens. He can certainly lay down a great bit of psychedelic downtempo as this track wonderfully demonstrates. Oleg Belousov ). 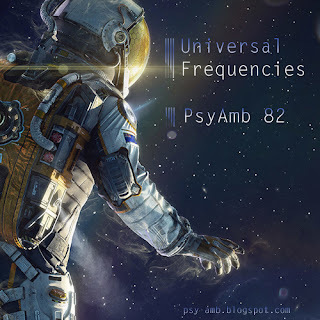 Oleg has been one of the most consistent of the new breed of Russian psychill producers and has always sought to evolve his sound in terms of production and mastering. The beauty in his tracks shine through so brightly. Check out the album "Silhouette Depth" for a wealth of quality psychill listening.